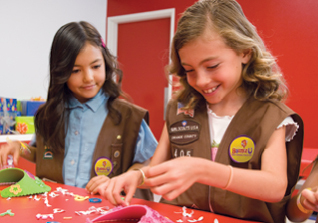 Bounce U is now offering camp-ins! A safe and fun alternative to camping out! Come spend the night at Bounce U and experience a fun night of games and activities, and of course bouncing with your group! And Yes, you will get to sleep in a few of the inflatables ALL night if you wish! 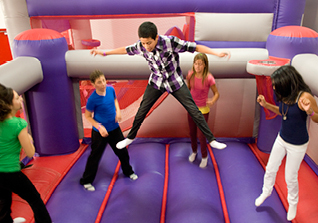 Perfect for small groups who just want to bounce! Includes 70 minutes of play time in a PRIVATE bounce stadium featuring giant inflatables and music and a Party Pro to guide you through your party and answer all of your needs during your time spent at BounceU. No party room or food included. $100 deposit required to reserve your party time. Maybe your team is having a dream season, maybe not. Either way, you deserve to blow off a little steam - and BounceU is just the place for it! You'll score major points when your players get a load of our famous bounce stadiums, fun-filled celebration rooms, and fantastic games. Whether it’s a soccer, swimming, football, baseball, basketball, cheer-leading, hockey or track team- whatever your sport, we want to help you celebrate your successes! 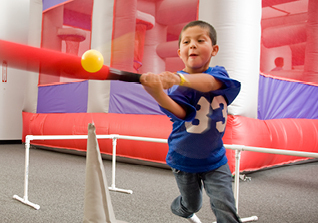 BounceU is the perfect place to hold your next team event! Complete with 70 minutes of private bounce time and 50 minutes of private party room time. Trophy ceremonies welcome!